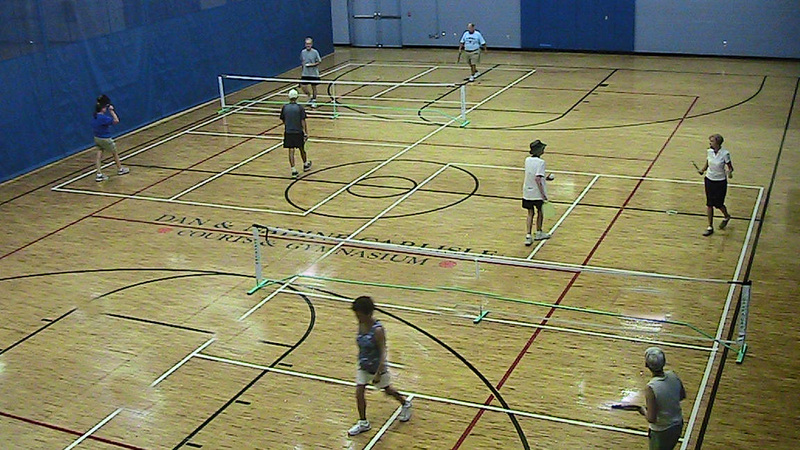 Below are some of the regular players at The Long Center in Clearwater, Fl. 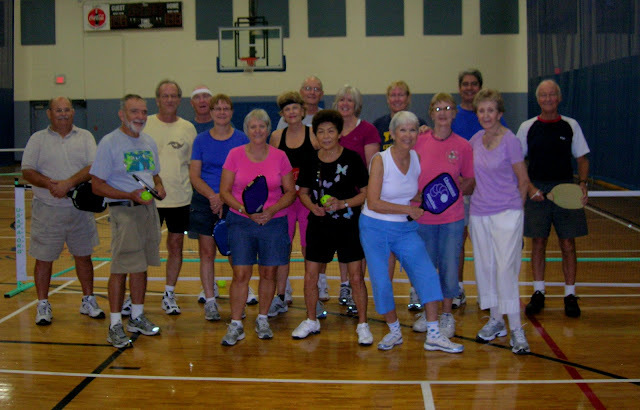 It was just last April that Susan Forget, a snowbird from Ontario, Canada, with the help of some locals introduced pickleball to the area. When Susan is not in Florida, Rose Craft (front row, right w/white top) is the lady in charge. The 3rd player from the left with a yellow shirt is Bob Cicetti, the generous volunteer beginner's trainer. These two kept the interest peaked during the summer with scheduled play every Saturday morning. Now they have two courts and the center is willing to add more if necessary. The Long Center is conveniently located close to US 19 and is a real fun place to play!!! "The group is growing and the more we advertising, the more players we will have. 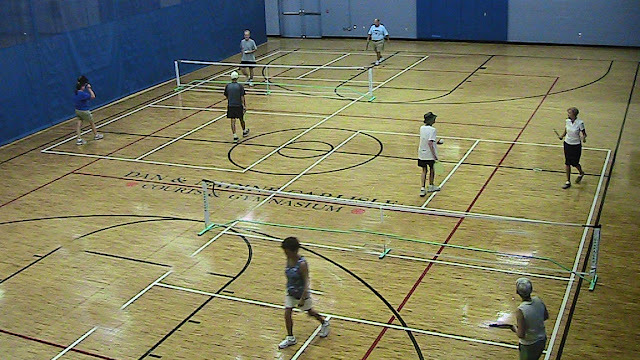 Pickleball is a fun game to play and good exercise for seniors. We want to promote the sport as much as we can. It is peope like you who care about keeping seniors in shape and enjoy the sport, that will spread the word."